Founded over 90 years ago as a three-man partnership, Anchin, Block & Anchin llp (Anchin) has developed into one of the largest and most highly respected accounting firms in the region, with nearly 350 professionals, including more than 50 partners. Anchin is the largest single-office firm in the country and our approach to the real estate industry enables us to deliver significant value to our clients. The Real Estate Industry Group at Anchin serves the owners, builders and developers, agents/brokers, and property managers who shape the skyline of the Greater New York area. Professionals on our team, one of the largest and most respected in the industry, serve some of the largest and most renowned names in the industry. Our services are driven by the need to maximize cash flow, develop innovative tax strategies, and work together with management in evaluating transactions in what is perhaps the most competitive, most exciting real estate market in the United States. Kramer Levin Naftalis & Frankel LLP is a full-service law firm with offices in New York, Silicon Valley and Paris. The firm represents institutional investors/lenders, nationally recognized developers and owners, investment bankers, merchant and commercial bankers, hoteliers and others in the acquisition, development, operation and financing and restructuring of real estate projects and other ventures. We assist in the full range of real property matters, including: office, residential, industrial, hotel and retail property development, acquisitions and sales; financing and refinancings; workouts and restructuring transactions for lenders, borrowers and equity participants; retail, office and industrial leasing; joint ventures; structured finance sale/leasebacks; the creation of new and conversion of existing commercial, residential and mixed use properties to condominium and cooperative uses; and land use/environmental. 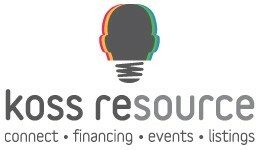 KossREsource.com is where commercial real estate investors, developers, mortgage bankers and brokers, lenders, and sales/leasing professionals find information about and connect with people in the CRE industry. We are supported by advertising and premium memberships just like Google and LinkedIn so we never charge referral fees or points on the connections we help you make or the deals we help you close. We help CRE professionals close more transactions — and we do it for free!